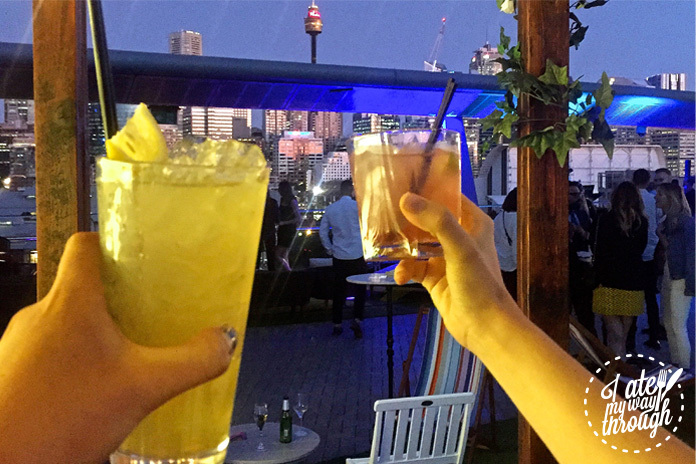 Head to The Star this summer to enjoy a refreshing drink on their Sky Terrace, overlooking the city skyline and enjoying some of the best views Sydney has to offer. 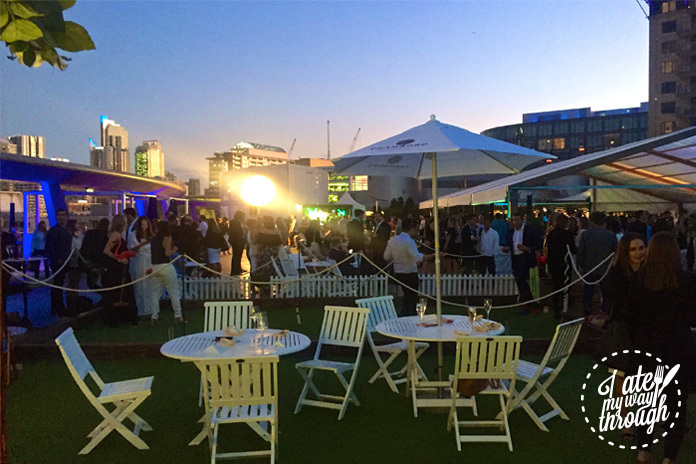 With its garden vibes, sprawling green grass and croquet lawn, there’s much to keep you entertained. 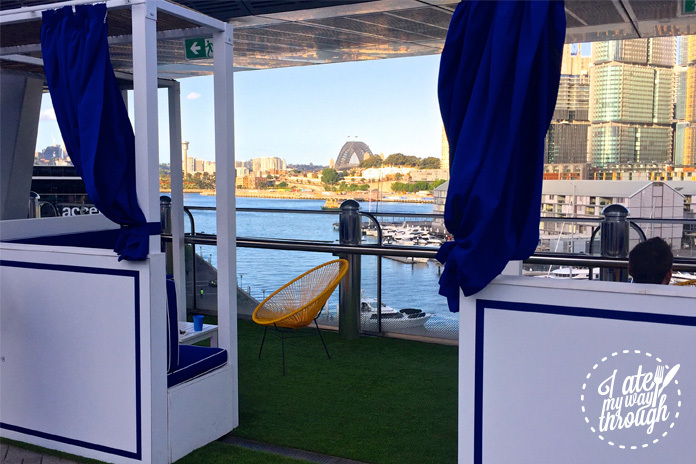 Offering live DJs Thursday through to Sunday nights, it’s the perfect place to watch the sun set over the harbor. Their snack menu is brief and simple, yet offers something to suit every taste. 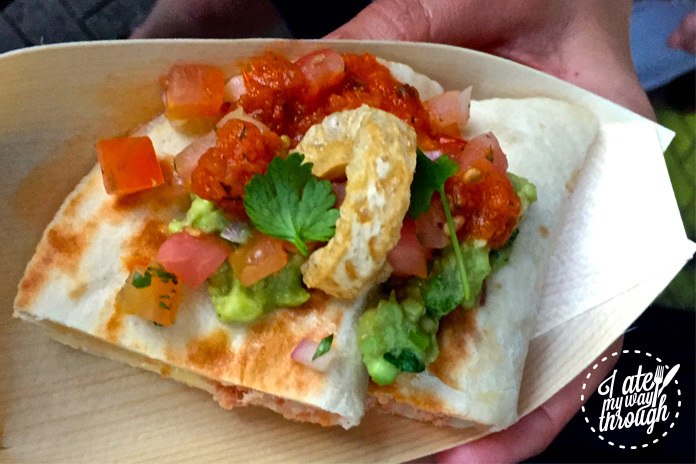 We particularly loved the BBQ Pulled Pork and Cheese Quesadilla with pickles and jalapenos (2 for $10). 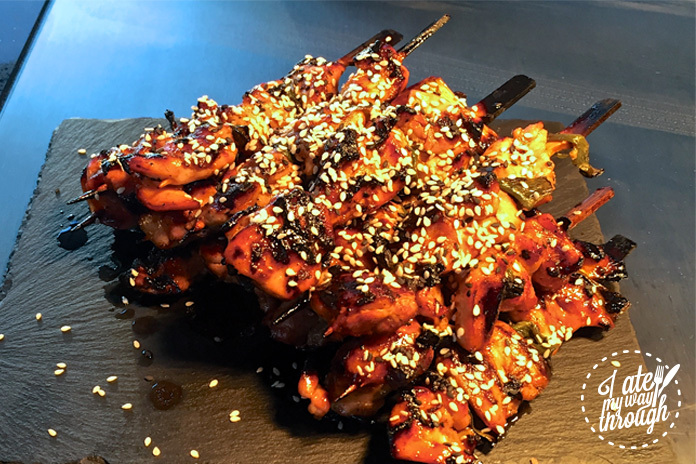 Or the Chargrilled teriyaki chicken skewers ($12), with their sticky sweet sauce coating the outside of freshly cooked chicken. Other items include crowd pleasers such as Parmesan and truffle fries with rosemary salt ($5) or delicious slow-cooked bourbon braised beef brisket with coleslaw in soft rolls ($12). 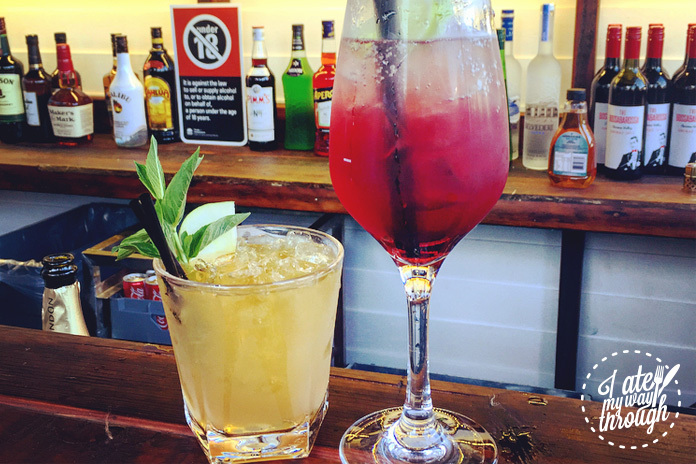 Their Country Club shack offers a specialized cocktail menu with specials such as The Apple One– Woodford Reserve Bourbon, Elderflower cordial and fresh apple juice, or The Berry Spritz– Chambord liqueur, cranberry juice, prosecco & fresh berries. Alternatively there is the Country Club Cooler or Sky Terrace Punch, both of which are equally as delicious. These could be the perfect pre-dinner drink before continuing on to enjoy some of the specials included in their Summer Hits specials that they have running. Their Endless Summer Happy Hour runs daily from 5-7pm at all bars at the Star offering $6 selected spirits, beer and wine and $12 & $14 selected cocktails. Or alternatively, a post dinner drink following an Early Summer Dinner for $40 including one main meal and selected wine or beer at any of The Star’s notable restaurants such as Balla Manfredi, Black by Ezard or Sokyo. Alternatively, kick-on after enjoying a $49 Chinese feast at The Century or a long Champagne Lunch at Black by Ezard which offers a 2 or 3 course meal with unlimited, (yes you heard right!) Perrier Jouet Champagne on weekends! Or change it up with $25 Corona buckets on Sunday arvos, perfect for ending the weekend on a high note.